This Area of Outstanding Beauty on the Suffolk-Essex border is a wonderful place to escape to; you’ll find no busy cities here, just charming villages, quiet countryside and interesting local attractions. 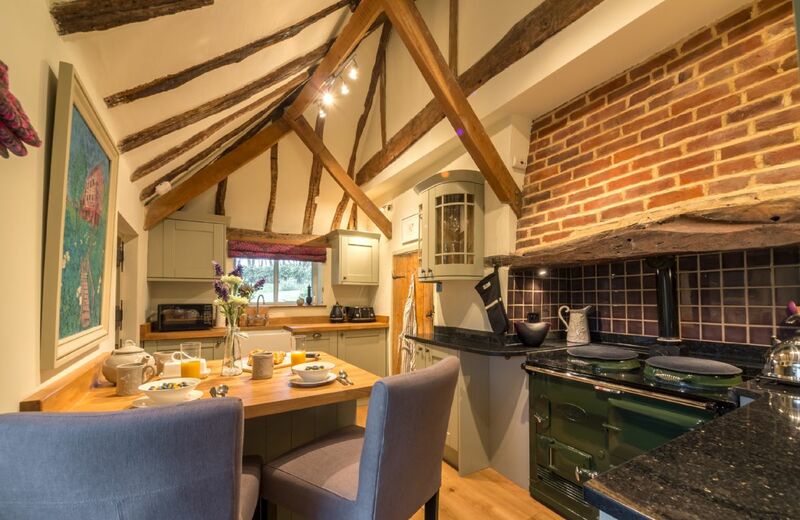 Our luxury Dedham Vale holiday cottages provide the perfect place to unwind after a long day exploring the woods and meadows with the family. 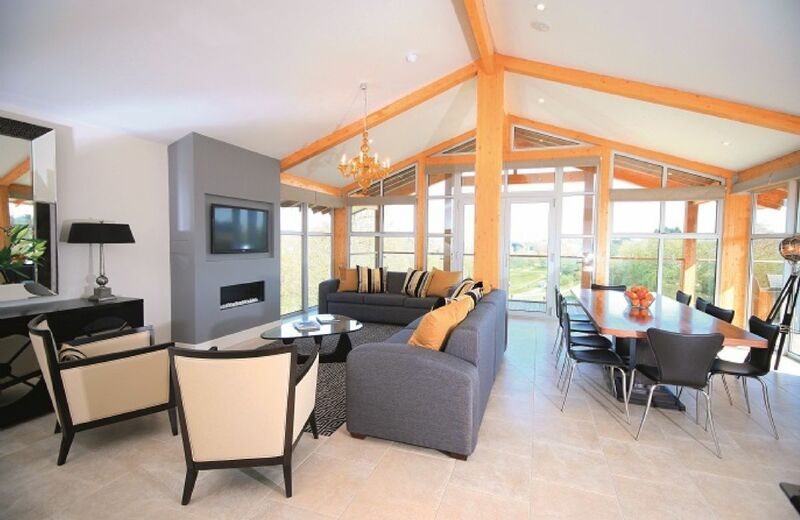 From lodges complete with saunas and hot tubs, to pet-friendly accommodation suitable for the whole family, our selection won’t disappoint – we know this because we handpick every property. So lie back, relax, and enjoy this incredible beauty spot. Your search returned 19 matching properties. This property would have four stars except for the condition of the kitchen equipment which was well below what we have come to expect from Rural Retreats. The washing machine was old and the door button broke (apparently it has happened previously) and we were unable to get our clothes out. The tumble element didn’t work. The dishwasher was corroded and rusty inside, therefore we decided to wash dishes in the sink. A couple of baking trays were dirty and very well-used. A couple of crockery pieces were quite chipped and the frying pans provided were used to the point they had lost the non-stick element. The egg cups provided were also rusted and unsightly, again they were not used. This information was reported to the email provided for Wakes Colne lodges while we were there and I advised I had photos if that would help, but no response was received. Everything else was wonderfully comfortable and we had a great relaxing break, but the kitchen equipment needs attention. This is not what we have experienced before through Rural Retreats or would expect. Thank you for your comments in regards to your stay at Endymion Lodge. I am sorry to hear the kitchen equipment was not up top the usual Rural Retreats standard. I have referred your comments to the owner of the property and they have said that they have now replaced the washing machine and they are going to carry out a full inventory check of the kitchen and replace chipped items. I am glad to hear that you had a comfortable and relaxing break away and we do look forward to welcoming you back to a Rural Retreat very soon. From being looked after daily by Marianne the manager and the amazing location to chill walk fish, when you want, to the fabulous eating places shops and pubs in the beautiful village we couldn’t fault it. Basically a memory we will have forever. Everything was perfect, cannot fault anything and even the weather was hot. 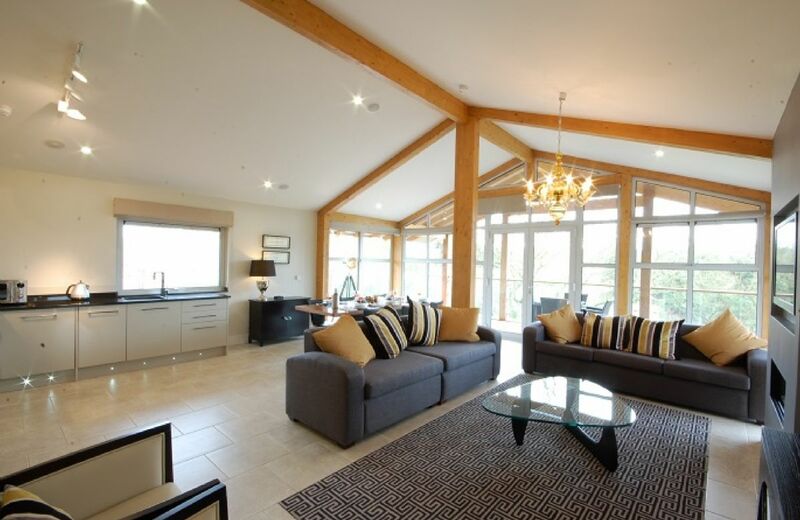 Stunning 5* luxury lodges which make you feel completely at home and relaxed. Stunning peaceful surroundings and plenty of places to visit. Everything was great. We loved to be there. Beautiful lodges in a lovely setting. Lovely cottage. Friendly staff. Amazing hot tub. The lodge was in perfect condition , beautifully clean and well presented. Excellent accommodation and will definitely be back. Beautiful lodge in peaceful surroundings. Well thought out and equipped. 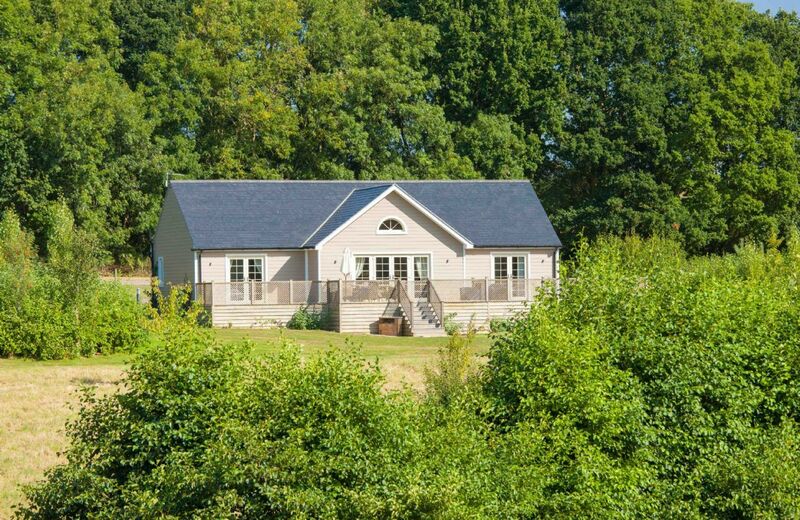 Ideal for furry four legged friends, with plenty of space and well away from the main road. 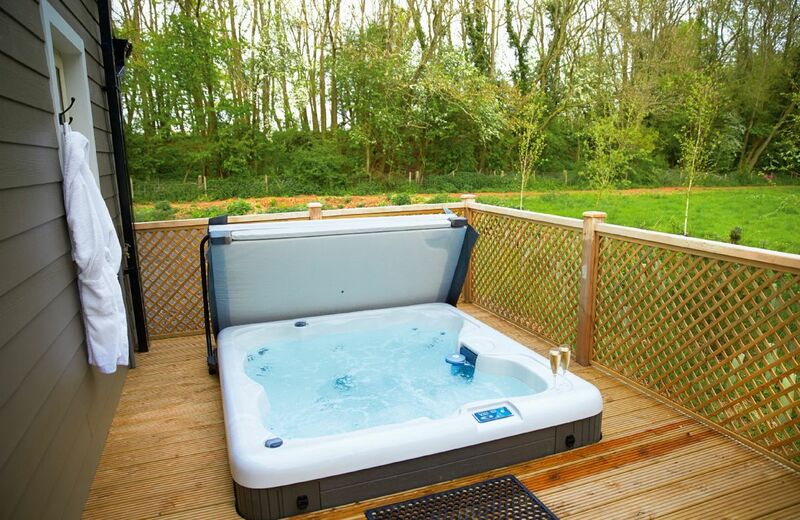 This delightful lodge on Wakes Hall Farm is a haven of peace in 500 acres of private land. Having recently been awarded a five star AA award it features an open plan kitchen/dining/sitting area, a verandah and a hot tub. The historic town of Colchester is 40 minutes away. Pearmain is one of six, two-bedroom country lodges located in the peaceful surroundings of Constable Country in Suffolk, in an Area of Outstanding Natural Beauty. 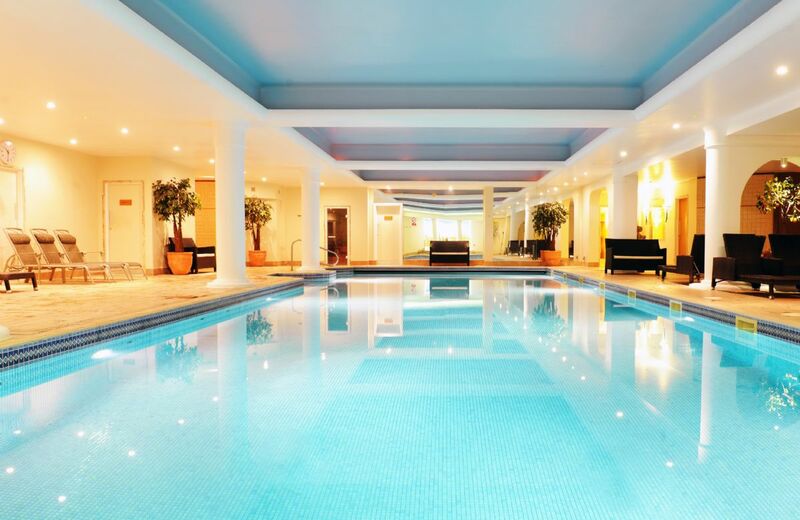 Guests can enjoy complimentary use of excellent poolside and gym facilities, as well as discounted rates for spa days and golf on two onsite championship courses. 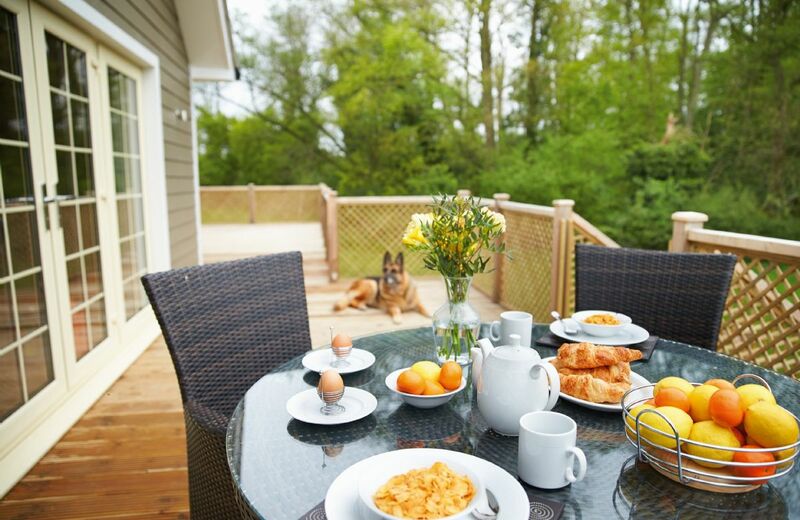 Pimpernel is one of six, two-bedroom country lodges located in the peaceful surroundings of Constable Country in Suffolk, in an Area of Outstanding Natural Beauty. Guests can enjoy complimentary use of excellent poolside and gym facilities, as well as discounted rates for spa days and golf on two onsite championship courses. 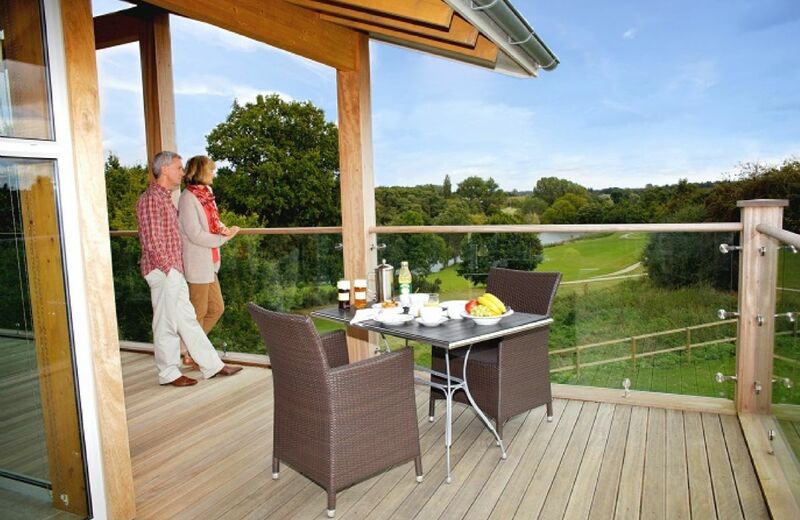 Scarlet is one of six, two-bedroom country lodges located in the peaceful surroundings of Constable Country in Suffolk, in an Area of Outstanding Natural Beauty. Guests can enjoy complimentary use of excellent poolside and gym facilities, as well as discounted rates for spa days and golf on two onsite championship courses. 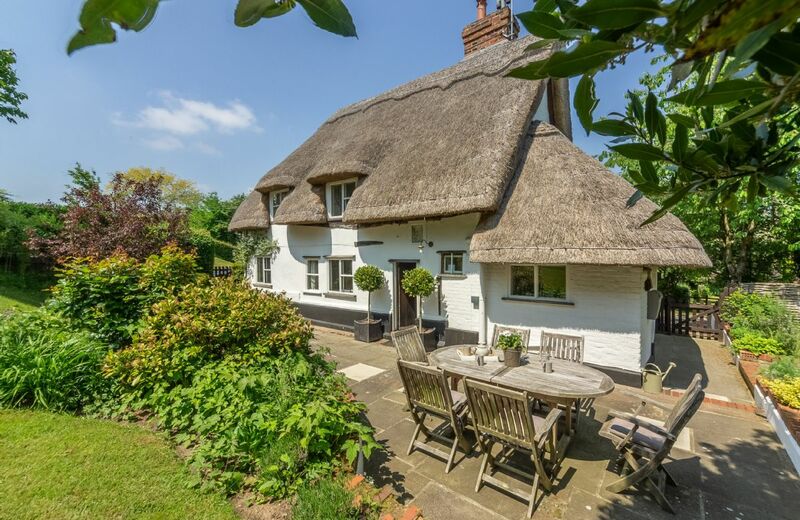 Thatchers Cottage is such a lovely period property but like all listed thatched houses from the 1600s it has low doorways and steep staircases which, of course, cannot be changed. We have enjoyed the cottage and its surroundings, which is situated in a quiet street near 2 restaurants. There are several walks starting from the cottage. 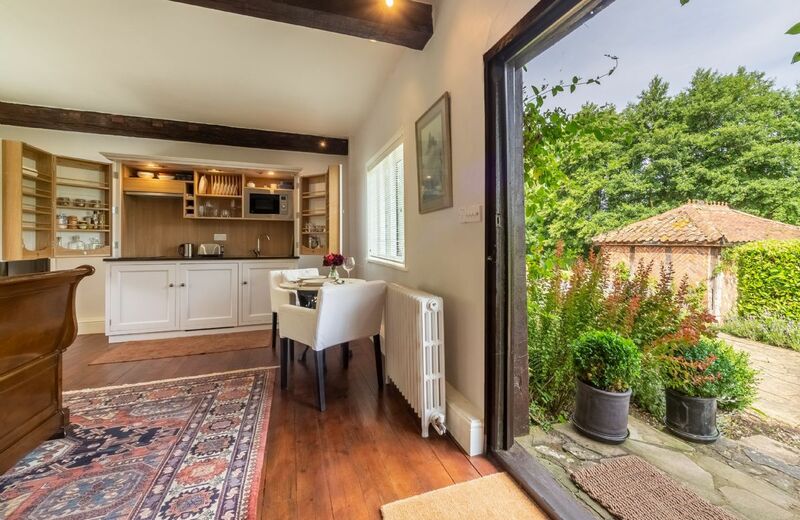 The cottage is well equipped and very cosy, but can be problematic for tall people given the low doorways and narrow access to the bedroom from the kitchen. Very well presented property with excellent welcome pack. Everything one would need - it felt more like a home than a rental property. Proximity to excellent pub and village shop a bonus. Thatchers cottage is a dream. It is furnished throughout to a very high standard and there is such attention to detail, from the fresh flowers and the amazing welcome hamper and cake to the sun loungers and reed defussers in the beautiful bathrooms. The whole house is spotlessly clean, the beds comfortable, the garden well maintained and huge. And then there's the 2 very good pubs and well stocked post office literally at the top of the road. I can not speak highly enough of this stunning cottage..it was hard to leave. A beautiful peaceful cottage with every needed facility. Weather was excellent and we thoroughly enjoyed sitting In the garden in the afternoon and breakfast in the morning. Lovely cottage, really cosy and comfortable. The booking process was simple and straightforward. Wonderful cottage in a lovely little village. Plenty of places to visit in the surrounding area. Excellent beautiful Thatched cottage with great character. Thank you to Dawn for looking after us. Would definitely book again. Beautiful cottage. Really comfortable stay, great pubs and walks. Bellissima casa in location tranquilla, ottima accoglienza con welcome hamper e torta. Grazie mille per le tue parole adorabili. Wonderful cottage, beautiful both inside and out. Tastefully furnished with everything you need. Fantastic welcome pack and homemade cake along with a lovely little card from the owner, a nice touch. Great location, two excellent pubs within walking distance. Would thoroughly recommend Thatcher's Cottage and hope to return soon! Thank you so much for leaving such lovely feedback for Thatcher's Cottage. Fantastic cottage, beautifully furnished and spotlessly clean. We were so delighted upon arrival at Thatchers Cottage. It certainly lived up to the description on the website. Garden was even better than we expected. The cottage is in a brilliant location being so close to the shop and pubs in the pretty village and with walks on the doorstep. A perfect place to escape to. Wow. More fantastic feedback for our special property Thatcher's Cottage. The most beautiful cottage in stunning location. Gardens perfect for unwinding. Perfect place to chill relax and recharge. Really wonderful feedback, thank you so much. Lovely cottage and hamper. A small problem with a very nosey neighbour next door. One of the best properties we have ever stayed in. Spotlessly clean, had everything we could possibly need (and more! ), full of character, luxurious, great location, beautiful gardens. The kids loved the sponge cake - thank you! It's also great that the cottage is available for a two or three night minimum - it's really difficult to find places to stay for less than 7 nights. What a great comprehensive review for Thatcher's Cottage. Thank you so much. Charming cottage, beautiful setting in lovely area. Everything you could need is present in the cottage, great AGA, a real cosy home from home. It was a beautiful chocolate box cottage, with a lovely garden set down a country Lane in a beautiful village . Another wonderful review for Thatcher's Cottage, thank you so much. we have ever stayed in. Thank you for such a fantastic review of Thatchers Cottage. We are delighted that you thought it was one of the best holiday cottages you have ever stayed in. Fantastic! Friendly manager, great location and chocolate box cottage. What a lovely review of Thatcher's Cottage. Thank you so much. The cottage was visually stunning and extremely well-appointed with a beautiful garden. The location on the edge of a pretty village with two excellent pubs was ideal. The owner was helpful when I spoke to her and the directions were easy to follow. 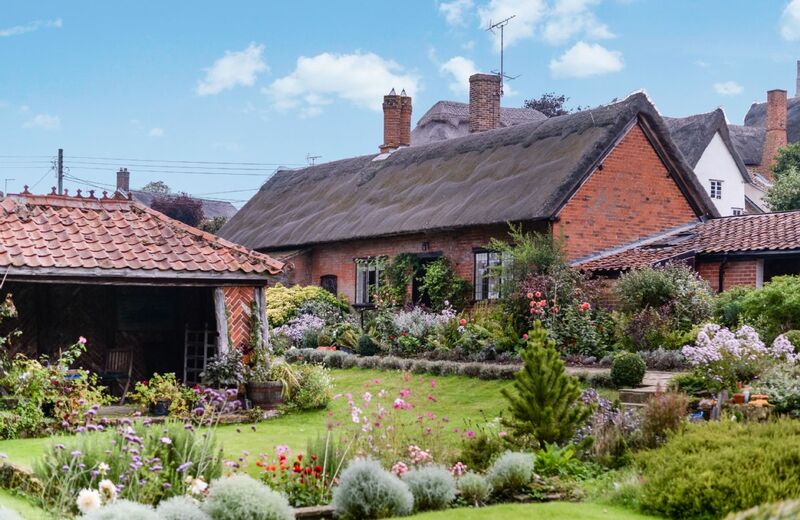 This picture perfect thatched cottage in the Dedham Vale village of Stoke-by Nayland dates back to the 1600s. Set in the heart of Constable Country, Thatcher’s Cottage is a beautiful, romantic retreat with the most calming and relaxing feel, an absolute must in these busy times. 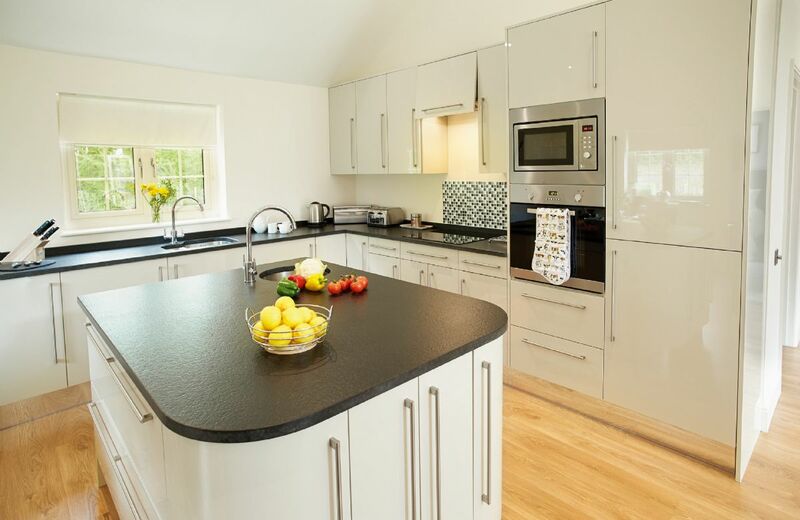 Russet Bramley comprises two of ten country lodges located in the peaceful surroundings of Constable Country in Suffolk, an Area of Outstanding Natural Beauty. Guests can enjoy complimentary use of excellent poolside and gym facilities, as well as discounted rates for spa days and golf on two onsite championship courses. Accommodation was excellent, staff were brilliant and nothing too much trouble, even when I had a flat battery in my car they stepped in to help. What a great review. I am delighted everything went well on your holiday. The property was excellent. I would highly recommend this to friends. Under furniture not swept/cleaned (pop corn, wrappers and leaflets evident from previous guests - identified when we were tidying up to leave. Nothing that would stop us going back as overall standard and property spec was great. 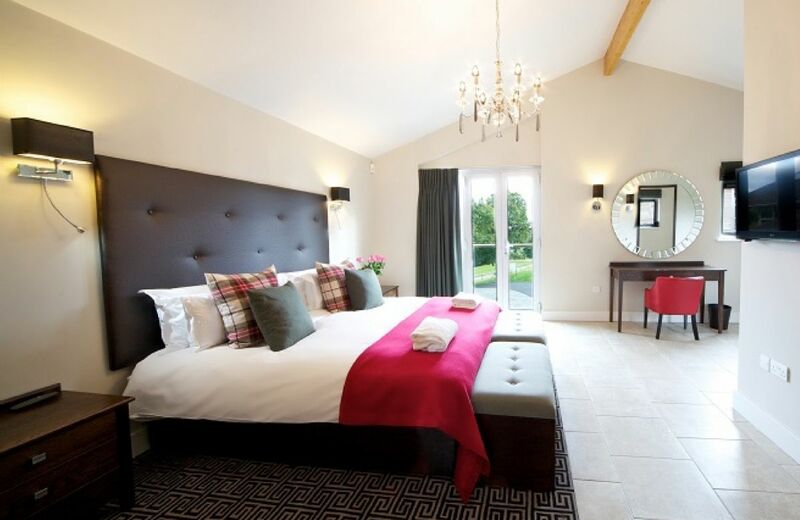 Scarlet Pimpernel comprises two of ten country lodges located in the peaceful surroundings of Constable Country in Suffolk, in an Area of Outstanding Natural Beauty. 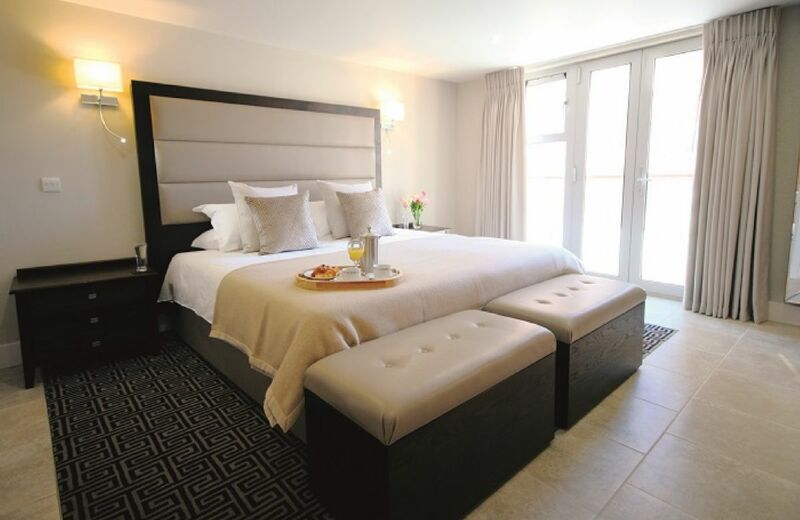 Guests can enjoy complimentary use of excellent poolside and gym facilities, as well as discounted rates for spa days and golf on two on site championship courses.